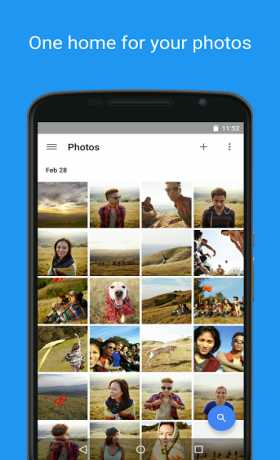 Google Photos is the official photo gallery app from Google. 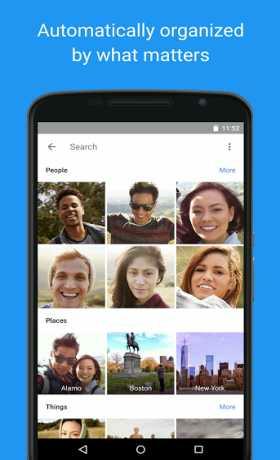 • VISUAL SEARCH – Your photos are now searchable by the people, places and things that appear in your photos. Looking for that fish taco you ate in Hawaii? Just search Hawaii or food to find it, even if it doesn’t have a description. Note: Face grouping is not available in all countries. • AUTO BACKUP – All your photos and videos can be safely backed up and accessible on any device. Store unlimited photos and videos at high quality for free, or store at original size that counts towards your Google account storage. 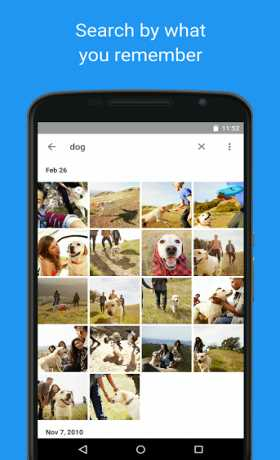 • SAVE SPACE ON YOUR DEVICE – Google Photos can help you clear safely backed up photos and videos from your device, so you never have to worry about deleting a photo to make space again. • BRING PHOTOS TO LIFE – Automatically get animated GIFs, montage movies, collages, panoramas, and more made from your photos, or create them yourself. • EDITING – Transform photos with the tap of a finger. Use simple, yet powerful, photo and video editing tools to apply filters, adjust colors, and more. • SHARING – Share photos directly to your favorite apps, or instantly share to anyone with just a link. • REDISCOVER – Be reminded of your memories from the past. Look back at what you did a year ago, or two, or even 10 years ago. • CAST – Easily share your photos and videos to your TV with Chromecast.